Once strawberries are in full season, their awesomeness is used in everything from sweet to savory. 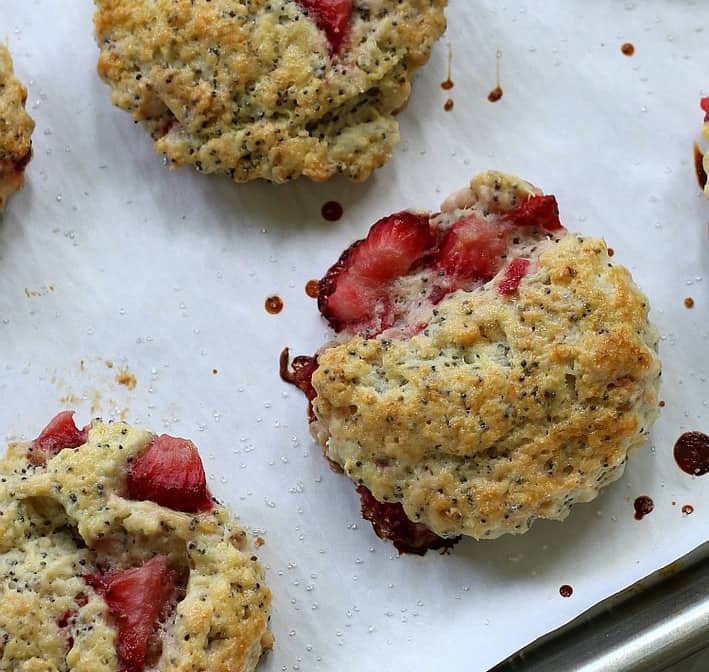 These strawberry scones made with crystallized ginger and crunchy poppy seeds are, first of all, a super easy scone recipe. And second of all, the’yre irresistable. Enhanced with just the right amount of lemon zest and creamy full-fat sour cream (or crème fraîche), the flavors are complex. 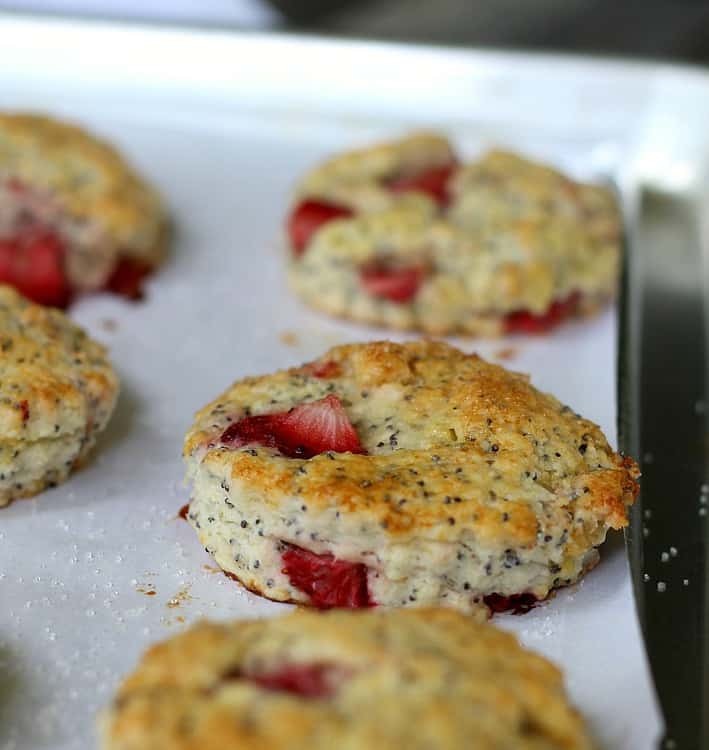 The recipe is more on the side of the British scone version, which adds less sugar than we Americans typically do. And for whatever reason, most British scones are cut round whereas, stateside they get cut into triangles and baked with the edges touching. Whatever type of scone you’re used to, this recipe is fabulous. And speaking of fabulous, I don’t want to sound preachy, but use the best quality ingredients you can afford. Don’t skimp and try to use reduced-fat sour cream; and butter isn’t just butter. 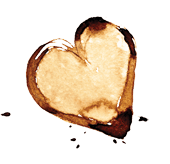 If you can find Plugra European-style butter, this is tops for any type of baking, really. Then everything is turned out onto a floured surface and just kind of patted together into a thick square. This patted, thick dough rests again. So, why all this resting? I’m the one doing all the work here, Dough. Actually if you let the dough rest, the gluten can relax and this helps create a flakier scone (good tip for pie crusts, too). Anyway, then pat the dough down one more time, pressing it into a round shape so you can cut the scones as close to the edges without much waste. I use a biscuit cutter but a glass works as well. 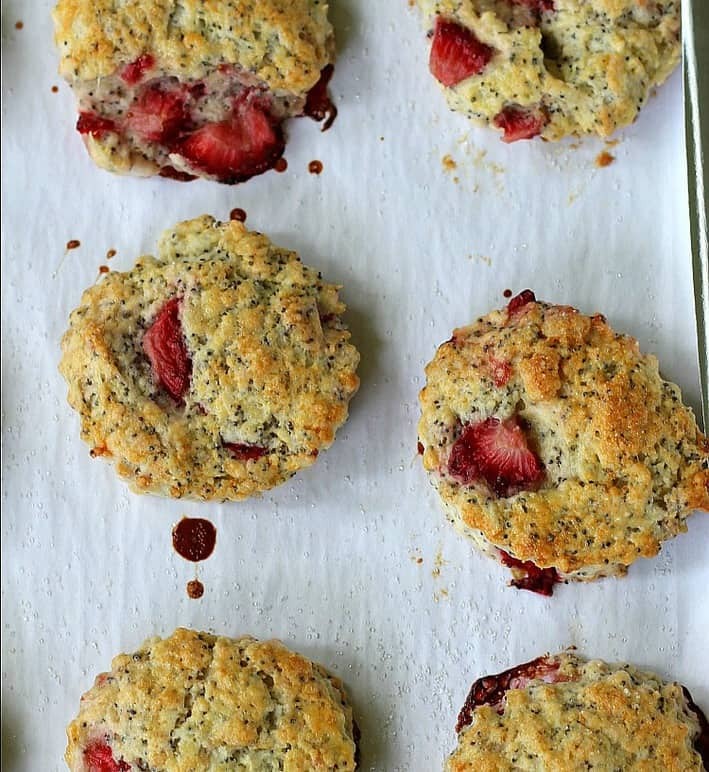 Once you have the scones cut into your round shapes, place them on a parchment-lined baking sheet. Mine ended up being about 1-inch thick before baking but you could also leave them the original thickness of 2 1/2-inches. This will give you less scones but much taller ones. Then a little egg beaten with milk is brushed on top and a sprinkling of sugar is last. 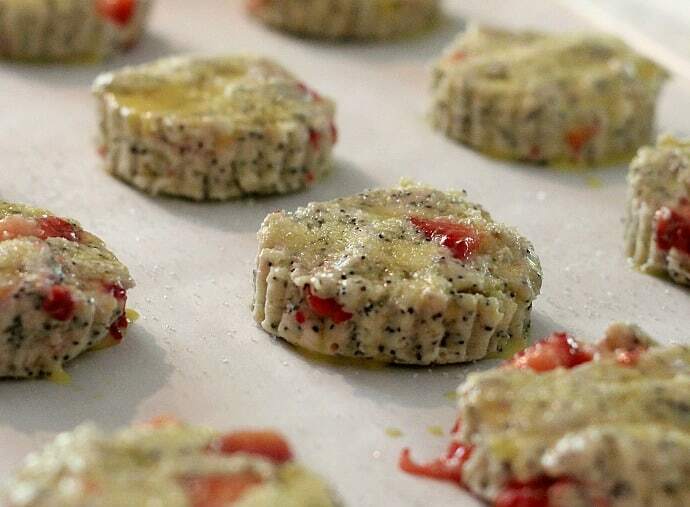 Next the scones chill for a few minutes in the fridge while you heat your oven. The scones seem like they’re never going to brown but they’ll turn golden during the last couple of minutes. After they’re finished baking, let them cool completely before serving. Due to the fresh strawberries in the scones, I recommend eating them within 24 hours. They won’t last long anyway so you won’t have leftovers to worry about. 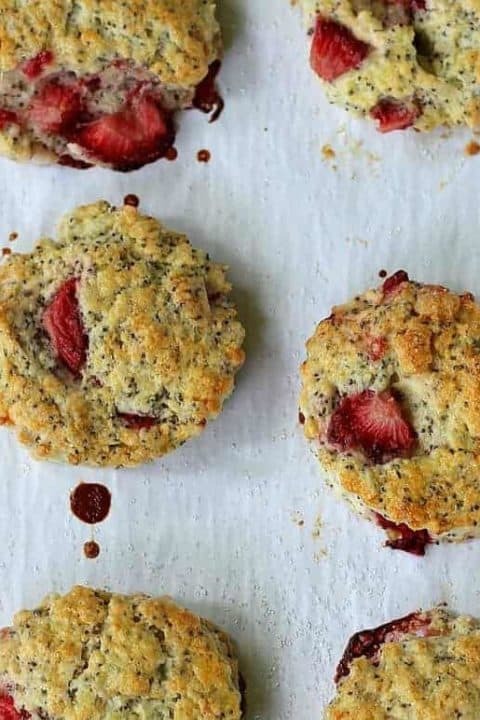 Strawberry, ginger and poppy seed scones are just-right served with a good cup of coffee… or tea… or almond milk… or all by themselves. 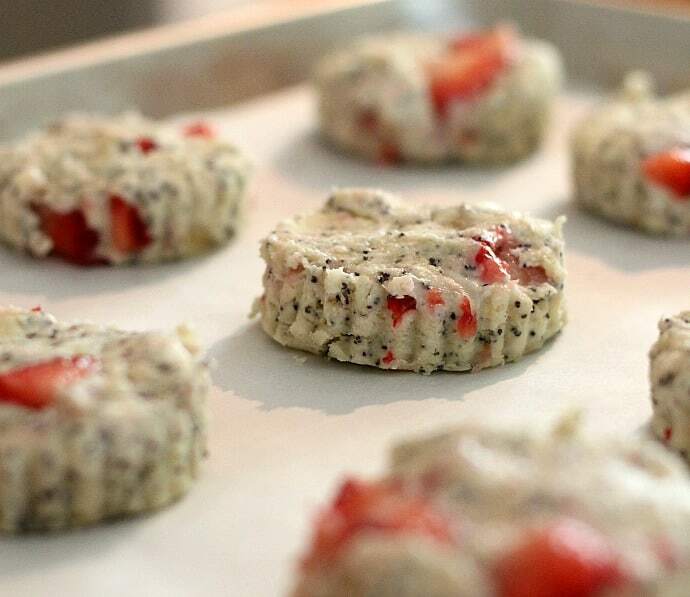 They taste even better several hours after baking because the flavors become more intense as they cool. The scones are bound to be loved by all, and by-the-way…those 13-year old picky eaters I told you about earlier? They came right back and finished off the couple that were left. Time to make more! The dough for these scones really doesn't get handled a lot before cutting and baking. No kneading involved here. These are incredibly easy and can be served just like they come out of the oven, or drizzled with a little powdered sugar icing or top with softened lemon butter. Best after they've cooled and set up for about an hour, eat within 24 hours of baking. Note: You want the butter to be very cold so maybe cube it first thing and place back in fridge while preparing everything else. In a large bowl, whisk together the flour, sugar, baking powder, seeds, and lemon zest. Add the cubes of butter and mix together with a pastry cutter or the back of a fork. For best results however, I prefer to mix in a food processor and pulse until butter is incorporated into pebble-size bits. The food processor method works super quick and you really want to work quickly so the butter doesn't soften too much. 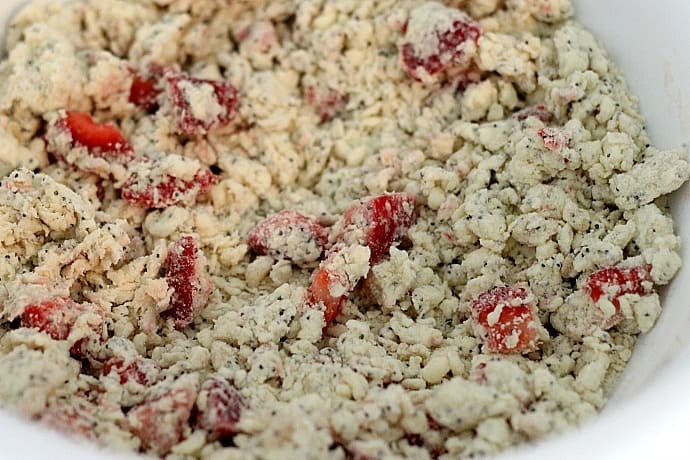 Add the sour cream, chopped ginger, and strawberries and mix quickly to combine. 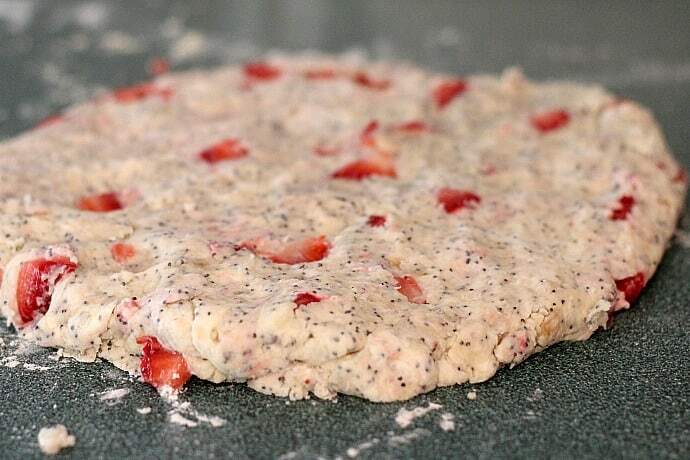 Do not overmix or knead the scone dough, but quickly toss the ingredients together. All the dough to rest for 5 minutes. 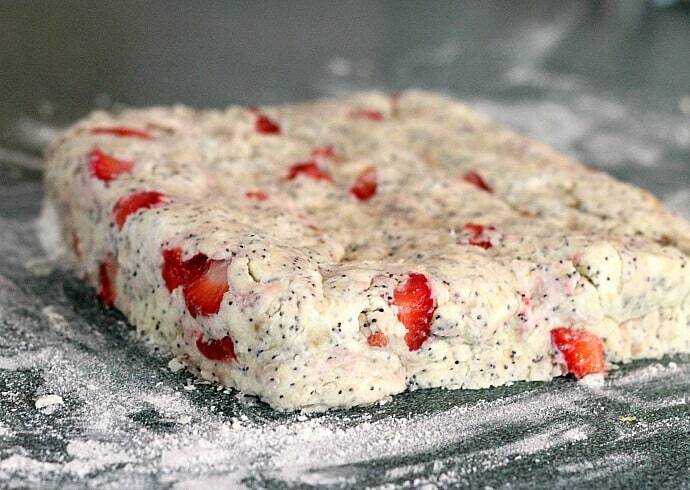 On a lightly floured surface, turn the dough out and pat it into a square about 1 1/2inch thick. Let it rest for 5 minutes. Pat the dough down again to form a circle and use a 2 1/2-inch round pastry cutter or the rim of a glass about the same size (I use my 2 1/4-inch biscuit cutter). Cut out about 12 scones, or as many as your size cutter will cut out. 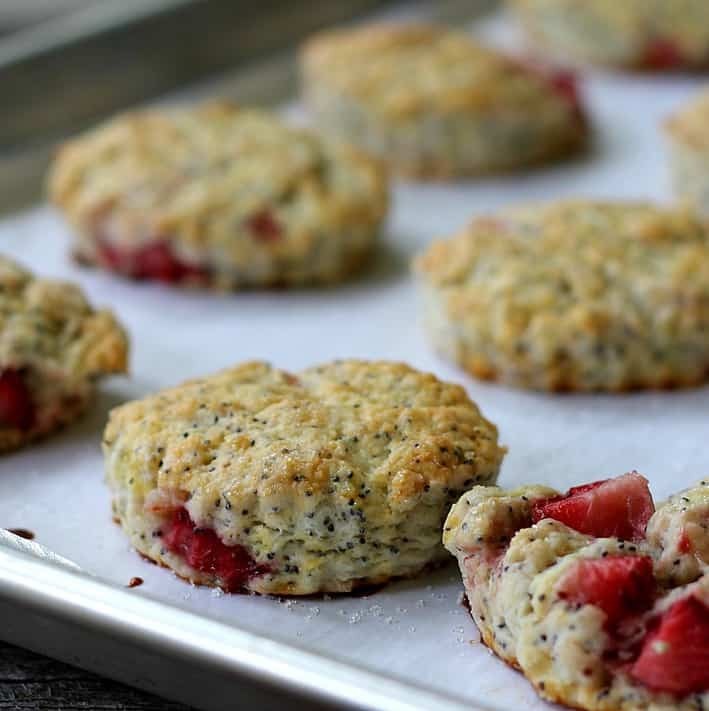 You can gently push scraps together to make more (about 15 total scones). Place on the lined baking sheet, brush with the egg and cream mixture and sprinkle with the sugar (if using honey, add the honey to the egg mixture). Place in the fridge for 10 minutes to chill. Meanwhile, preheat your oven to 355F degrees (320F degrees for convection oven). Bake the scones for 18 to 23 minutes or until slightly golden. Once they are out of the oven, transfer to a wire rack to cool. Best eaten within 24 hours of baking. Adapted from one of my favorite baking cookbooks, The Violet Bakery Cookbook.